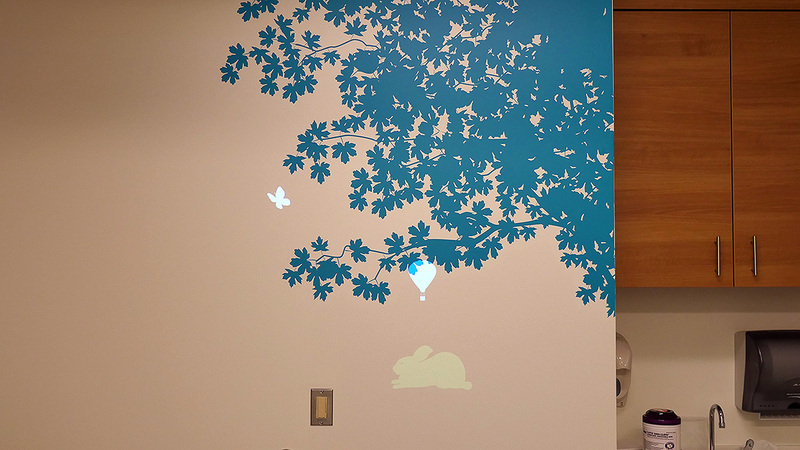 Forest Friends is an interactive environment that provides positive distraction for patients in the Pediatric Oncology ward at Ohio State University’s Wexner Medical Center. 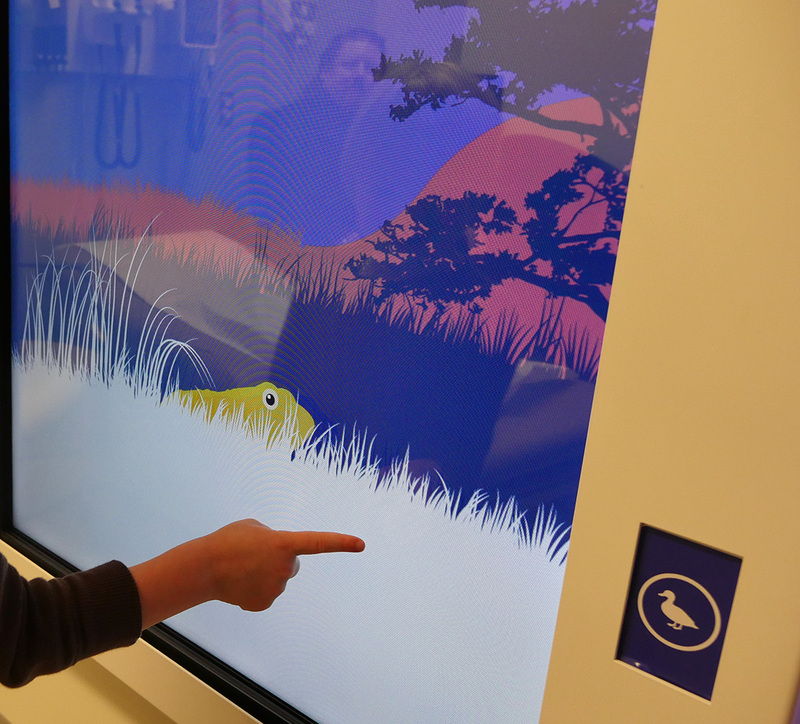 The experience consists of 3 main components – a large interactive wall, interactive kiosks, a wall projection, and an augmented bell. 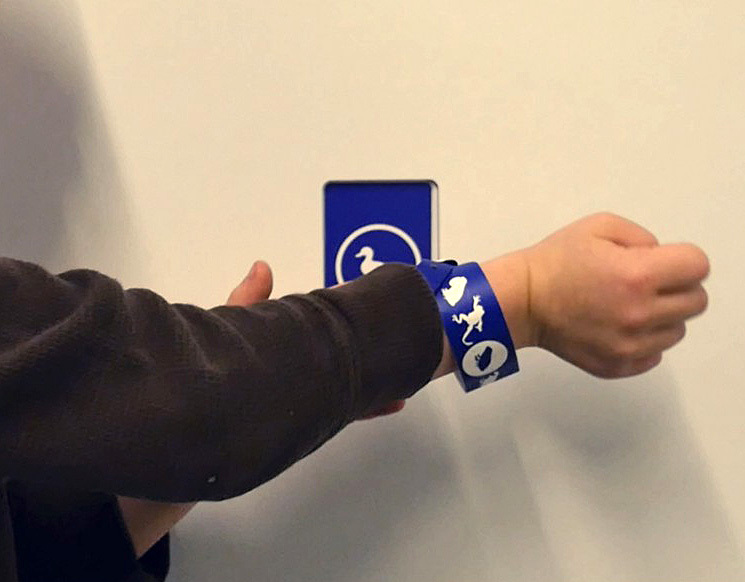 Patients can choose a virtual Forest Friend (rabbit, frog, duck) in the form of a bracelet with an embedded NFC chip. 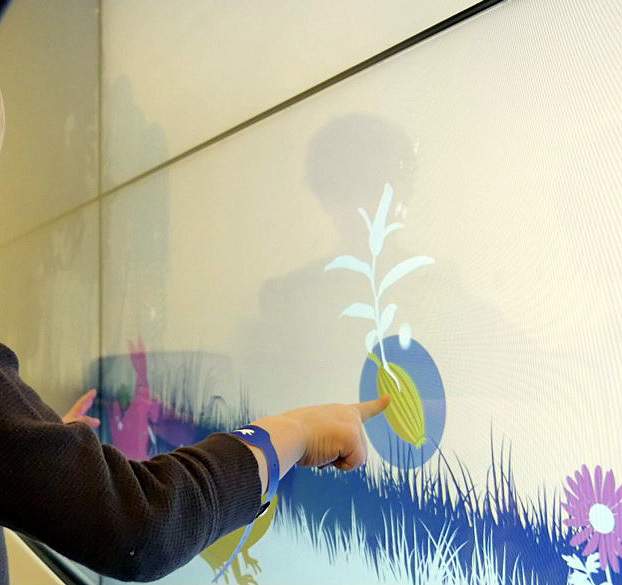 They can then scan their bracelet in each of the spaces and interact with their avatar in a magical, dynamic, interactive, forest environment. The forest friends exhibit different behaviors in different situations as well as have some level of autonomy. 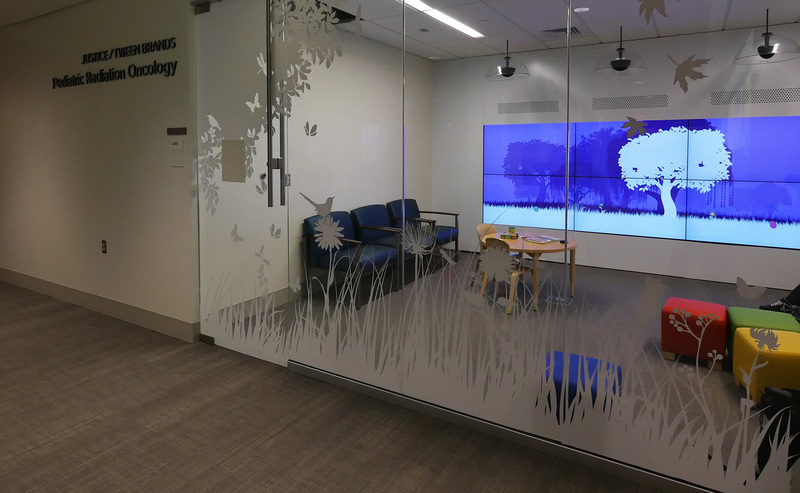 Patients can also interact with elements in the dynamic forest environment. 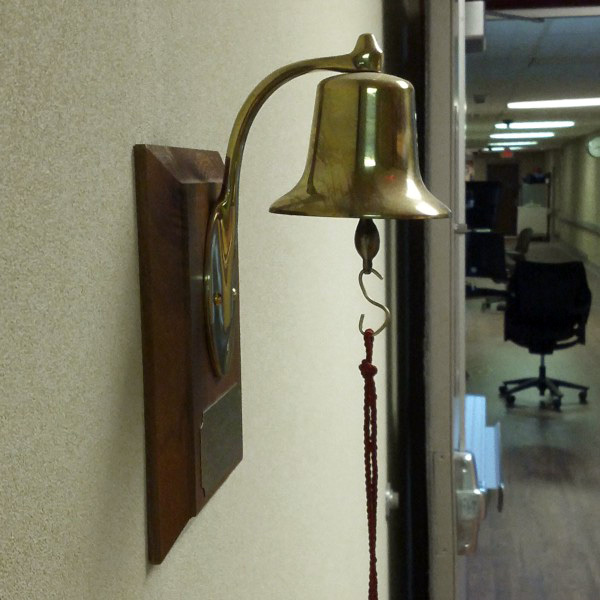 In keeping with tradition, patient can ring a bell when they finish their course of treatment. The bell is augmented with a Beaglebone Black which sends WebSocket messages to all interactives on the network. This causes celebration across all forest friends and ‘ripples’ in the interactive environments.